Over the course of the past month we've learned that Amazon has a tablet, a set top box, and a couple more tablets on the way. 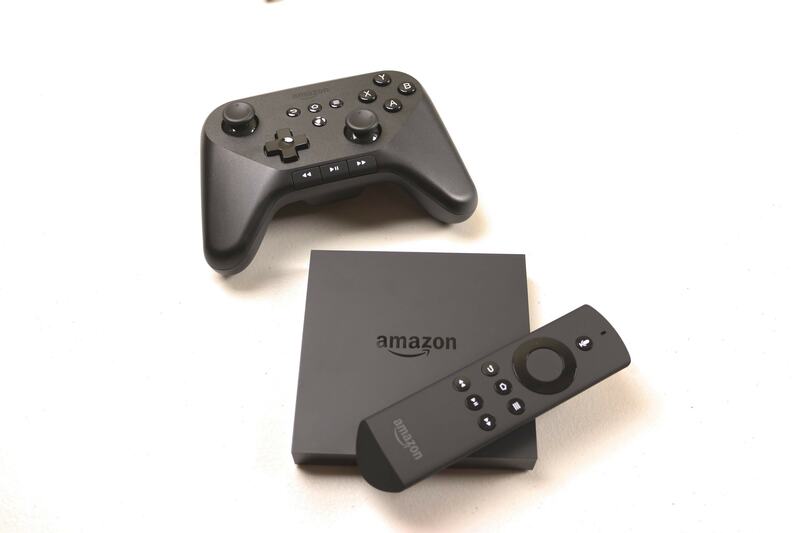 Now a couple new FCC filings have come across my desk that reveal that Amazon will be rounding out its fall launch line up with a new remote control and a new game controller. Amazon has of course concealed all the images behind an embargo, and they've sent the devices through the FCC via the usual front companies, but there are a few details to be gleaned from the filing. For one thing, the test paperwork describes the devices as a remote and a controller, removing all doubt as to their purpose. The paperwork also shows that both devices were tested for Wifi, and not Bluetooth. While the next-gen Fire TV does have both Bluetooth and Wifi, the accessories do not. That suggests that Amazon is switching to Wifi for its new comm standard, and it also explains why the Fire OS 5 Developer Preview (running on the current Fire TV) also creates its own Wifi hotspot. Arguably Amazon is planning to make the old hardware compatible with the new controllers. AFTVNews also suggests that the switch to Wifi could indicate that the new controllers will have an audio jack for private listening, but I can't find any evidence for that in the test paperwork.